This is not the first time I have got the green color eye liner. 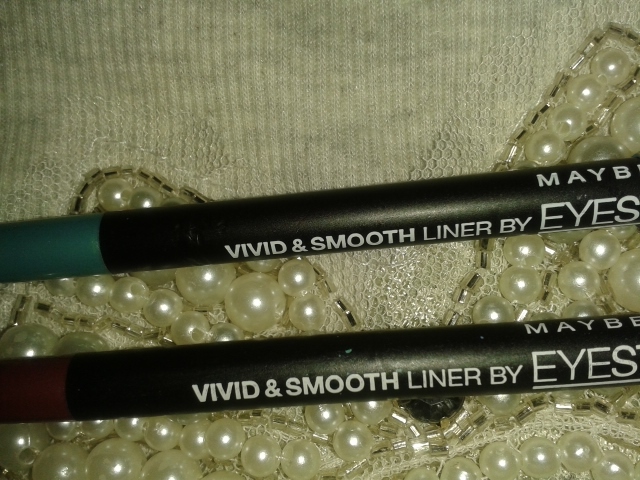 I have used green color eye pencils before but I must admit the shade Peacock Green from Maybelline Vivid and Smooth liner really does stand out. The liner contains sparkle particles that provide a glossy effect and distinguish this liner from other eye pencils in the market. It comes in the shape of a sleek and slender black plastic pencil with the bottom of the same color as that of the liner. The transparent cap shuts well ensuring a sturdy and travel-friendly packaging. The texture of the liner is soft and creamy. And may be its because of this creamy texture, the liner somehow does not gives a sharp line. I applied the liner directly on the upper eye lid and lower lash line of my eyes. It glided like a dream! Eyes looked instantly defined and bright. The shade matched my skin color perfectly. I have a fair complexion and shade Peacock green made my skin glow! 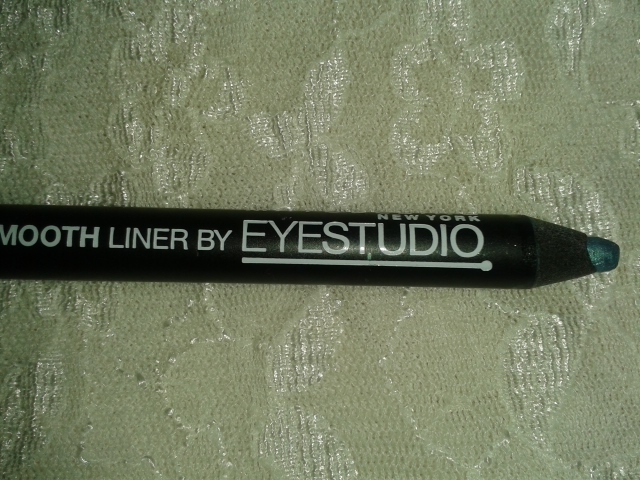 But what I liked most about this liner is that it lasts long and does not smudge. I actually had to use a copious amount of cleanser and face wash to remove the liner from my lash lines. If you are a fan of colored eye pencils, this one is a must have. Lightly glide the liner across lower and upper lash liner starting from the inner to outer corner using very small strokes. For more finished and defined look, use it over your regular liner or pencil. The creamy texture enables you to use the liner like a crayon to create a bold look. All you need to do is glide the liner across upper lash liner from the inner to the outer corner using small strokes. Thicken the line by extending and repeating. For more dramatic effect, try winging out from the corner like 60s heroines. Final Take: Maybelline Vivid and Smooth liners are definitely one of the best in the market. Long lasting, decently priced, wearable shades, should certainly not missed by any makeup lover.